Tara Martin - exceptionally accomplished neurobiology major with a troubled past. Steven Trent - confident political science major with an irresistible attraction to Tara. Paul Stratton - history major who is able to hear spirits. Together, they make up the Society for Paranormal Researchers at their prestigious New England University. When they're not in class or writing papers, the three friends are chasing their passion....ghosts. When the group learns of a local retired couple trying to sell a house they claim is haunted, they decide to investigate. As the clues unfold, a familiar spirit interrupts their investigation and Tara finds her life in danger. Can her friends save her before it's too late? This was a fun, easy read just in time for Halloween. It's a mix of horror, romance, and science. This is a hard book to review because my thoughts on it are all over the place. 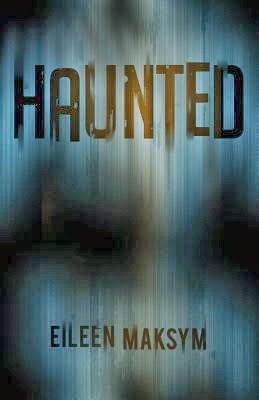 I wanted to read this one because I love shows about ghost hunting and thought this would be a perfect read to get me in the Halloween spirit! I really enjoyed a different take on the paranormal scene. Tara, Steven and Paul go to investigate a haunted house and get much more then they bargained for. I liked that they approached things from a scientific standpoint and that all three were smart and well, normal. One problem I had with the book were that the pov kept changing from Stephen to Paul, and for some reason I had a really hard time connecting to either one of them. I really enjoyed Tara the most, and wish we had gotten her pov as well as the other two. Another one I had is that certain things weren't ever fully explained. For example Steven and Tara are in the library doing research on what makes certain people see ghosts and other people don't and everything they print out is in red-and they experience cold spots, etc. Later something is revealed that could explain these things, but we're never told-they are just kind of forgotten about it. Despite the problems I had with the book, this was a fast read that kept me wondering what would happen until the very end. If you enjoy horror/fantasy books then I'd definitely give this one a try.